Custom workshops for your kids – Just the way you want it. Our staff are fully trained and experienced tutors and will tailor the workshop to make everyone feels challenged and exhilarated, whilst never compromising their safety or comfort. We will stay flexible to make sure you get what you need without unnecessary stress or pressure . We’re prepared on your kids behalf and can provide waterproof jackets and gloves if needed. If you want your workshop to be completely hassle free we can provide a fully inclusive quote which includes bike & helmet hire. Custom tailored days out for kids to develop their riding. Custom kids workshops: Our staff are fully trained and experienced tutors and will tailor the workshop to make everyone feels challenged and exhilarated, whilst never compromising their safety or comfort. We can accomodate kids from schools, cycling clubs and charity organisations. What’s more we can tailor the day to include your goals. Team building, rider development, forest adventures or just fun? We will stay flexible to make sure you get what you need without unnecessary stress or pressure . We’re prepared on your behalf and can provide waterproof jackets and gloves if needed. If you want your workshop to be completely hassle free we can provide a fully inclusive quote which includes bike & helmet hire. 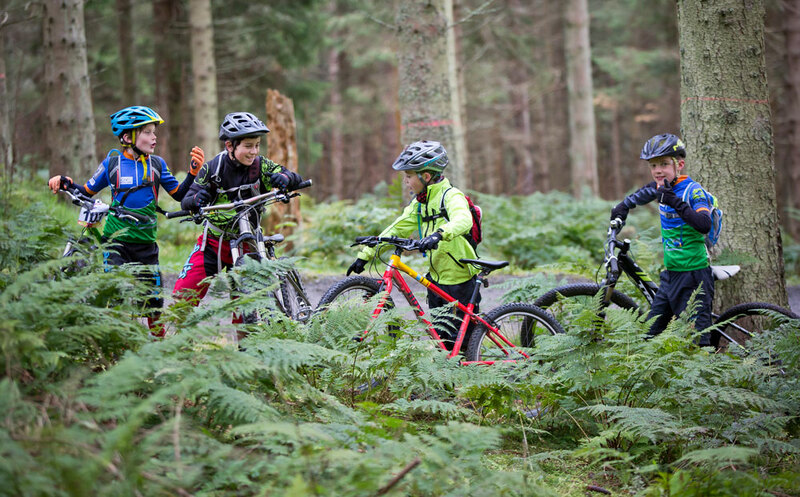 Our custom kids workshops sessions can run from Glentress, your local trail, parks or in school grounds near you. Sessions running times can be flexible and built around your needs. Contact us to discuss putting a WORKSHOP or multi-day PROGRAMME together for your group. Our team ensure everything is booked in advance and arranged by us so you’re just ready to go. With bike hire we can also offer a bike uplift (where appropriate) to make sure we make the absolute most of the time we have with you. We can travel to your location to run closed courses. Contact us to discuss options available. All age groups can be accommodated. Year round availability. Contact us for availability and a custom quote. 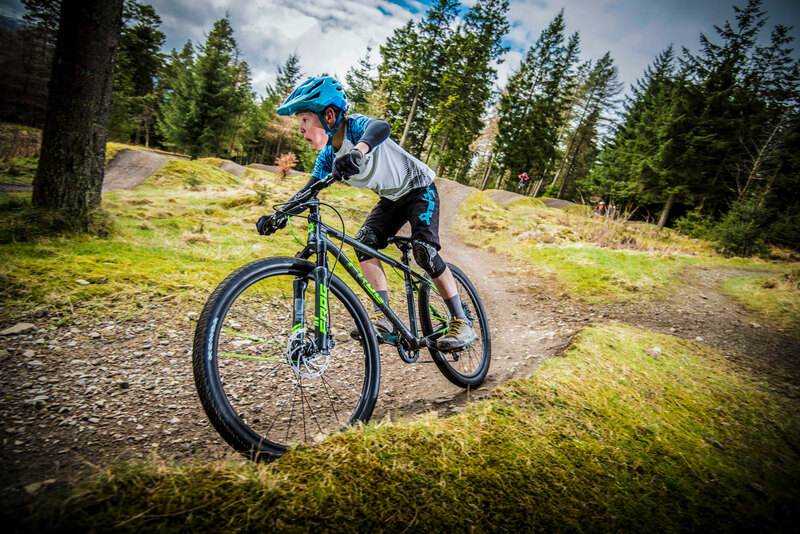 Sessions can run from Glentress, your local trail, local park or in school grounds near you. Sessions running times can be flexible. Contact us to discuss putting a WORKSHOP or multi-day PROGRAMME together for your group. Full information on how the day will run will be sent out by email following booking. Mountain bikes are not provided for the sessions so please bring your own well maintained bike and helmet (compulsory) or contact us to arrange additional bike hire. We take our responsibilities seriously when working with children. 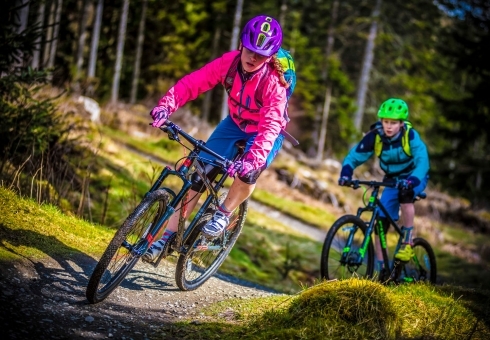 We provide one tutor to every 5 kids to ensure each session has an appropriate level of tuition, individual attention and riding safety / supervision from our experienced family friendly tutors. All our staff working with children have been through the Disclosure Scotland or PVG Scheme, have attended a child protection workshop and comply with RIDELINES written child protection policy. Re-assured? We hope so. RIDELINES is a limited company with public liability insurance covering all of our activities. Copies of this paperwork and risk assessments required can of course be made available prior to your day as required. Thanks to RIDELINES for organising a great programme for our school. Six week sessions custom made including multiple day visits to our school grounds and an expedition day to Glentress to top it all off! Unforgettable for those young people who experienced it. We were impressed with your really professional approach and re-assurances for our many questions. It was a greatexperience and delighted to find your kitted out programme included trailer uplift, mini-bus uplift, waterproofs and bike hire so everything was covered making it really easy for us! A 3 day course developing the next generation of riders. 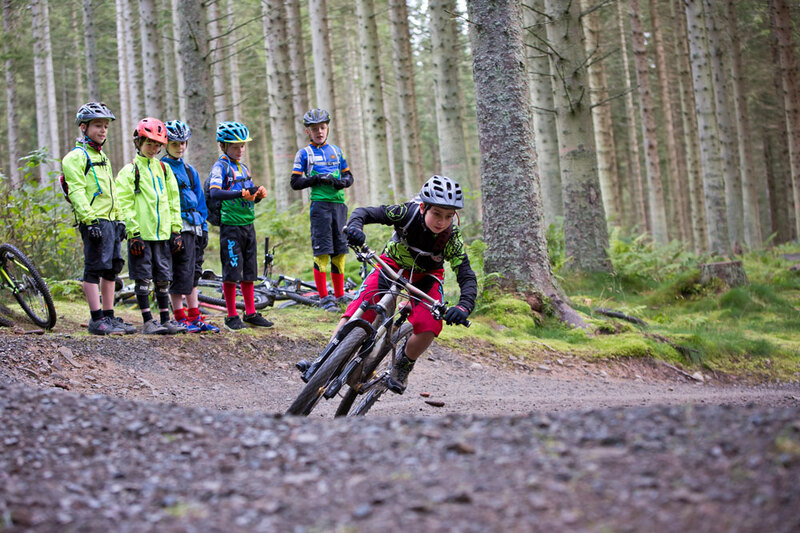 Kids camp at Glentress is one of our most popular courses and fills up fast! 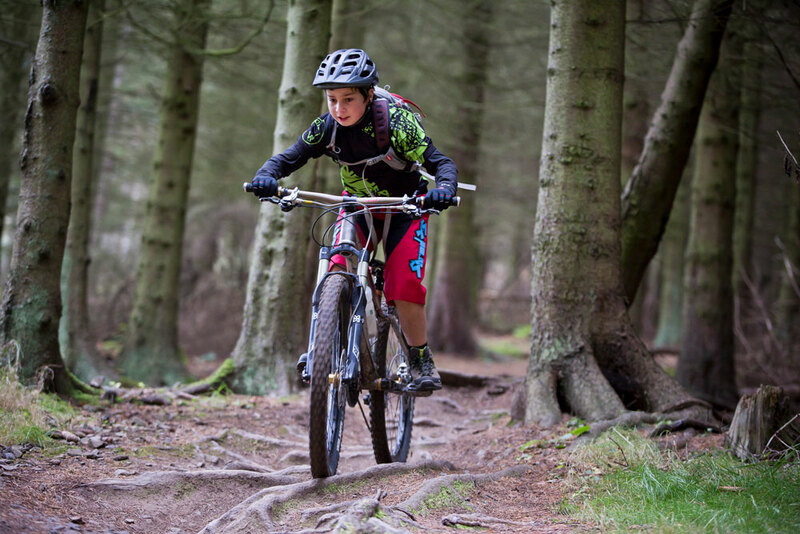 We teach confidence inspiring skills and lots of great fun techniques for young riders. 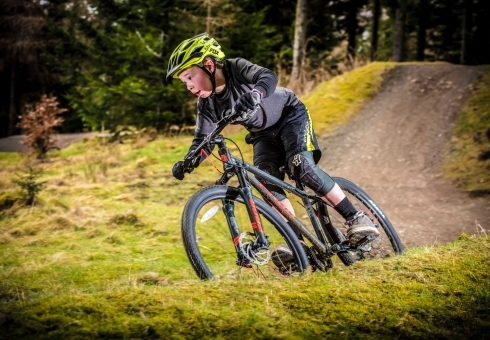 Progressive learning over three days will provide essential riding techniques in sessions built specifically tailored for young riders to really get them flying. 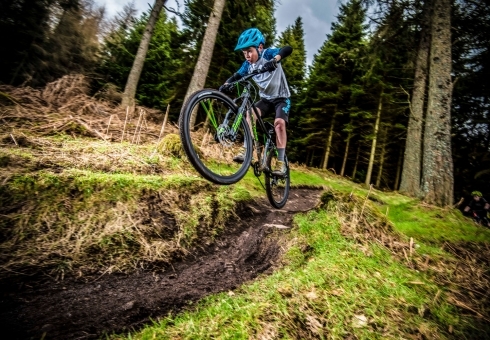 We’ve been running kids courses for years, so why not drop them off and give us the reigns! Kids camp is a 3 half day courses in a row. Age specific in the mornings and afternoons. Amazing value for joined up tuition 3 days in a row.